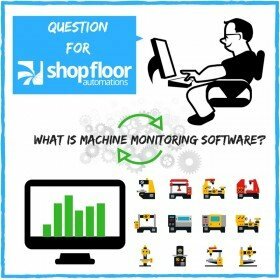 Why Customers Use Machine Monitoring Software - SFA Inc.
What is Machine Monitoring Software? Machine Monitoring gives you the ability to see what your machines are doing in real-time. This software allows you to collect and process data from your machines using software like MTConnect, FANUC FOCAS, custom macros, or hardware devices. Optional data collection terminals can be used for additional operator input. Wondering where does your data go when it’s in the Cloud?. Check out this case study on how machine monitoring helped one aerospace company improve productivity. Runtime, downtime, and OEE data is then presented via dashboards, historical reports, and charts. Emails or text notifications can be sent to notify you of production issues on the shop floor. Machine monitoring can be done on-premise or via the Cloud at various price ranges. Read more customer reviews of our software. Schedule a machine monitoring webinar with an account executive, or if you are ready to make a purchase, call us at (877) 611-5825.